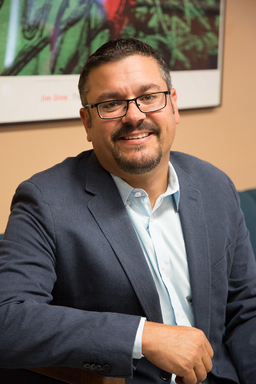 Dr. Matt A. Barreto is Co-founder and Managing Partner of the polling and research firm Latino Decisions which he co-founded with Gary Segura in 2007. Barreto is also Professor of Political Science and Chicana/o Studies at UCLA. In 2012 Time Magazine called Latino Decisions the “gold-standard in Latino American polling” and Barreto’s research was recognized in the 30 Latinos who made the 2012 election by Politic365, listed in the Top 100 Global Thinkers of 2012 by the European Politics Magazine LDSP, and was named one of the top 15 leading Latino pundits by Huffington Post which said Barreto was “the pollster that has his finger on the pulse of the Latino electorate.” In 2015, Barreto was hired by the Hillary Clinton presidential campaign to run polling and focus groups on Latino voters. Working closley with Segura, he has also overseen large multi-state election eve polls, battleground tracking polls, extensive message testing research and countless focus groups. He has been invited to brief the U.S. Senate, the White House, Congressional Committees, and has been a keynote speaker at many of the major Hispanic association conferences including NALEO, LULAC, CHCI, NCLR and others.